ruthdelacruz | Travel and Lifestyle Blog : Chicken-All-You-Can Max's Promo! What's the best way to celebrate Father's Day? 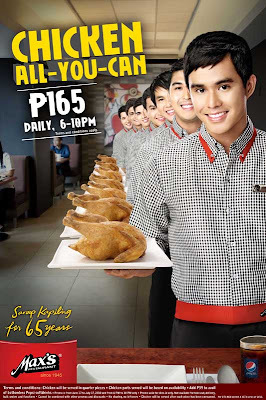 Bring him to the nearest Max's Chicken Restaurant and avail of the chicken-all-you-can for only Php165! The promo is until July 17, 2010 between 6:00 PM to 10:00 PM. 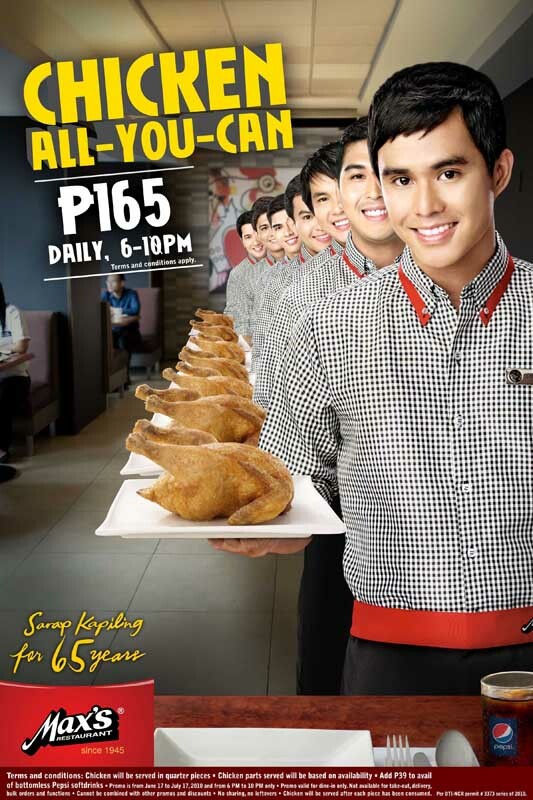 I honestly wouldn't mind eating 10 servings of quarter chicken if I would be served with such cute waiters..
Visit the Max's Chicken website for more details. © ruthdelacruz | Travel and Lifestyle Blog : Chicken-All-You-Can Max's Promo!